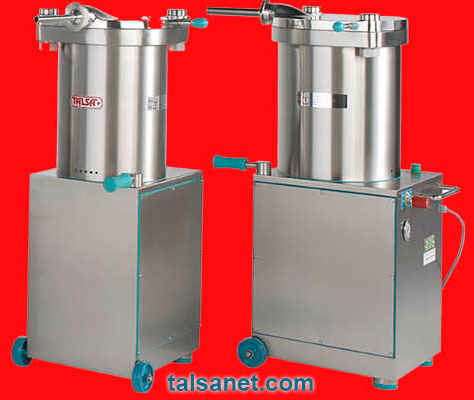 A filler or stuffer is a machine used to compact cold mixtures for the production of different types of cold meats that can be fresh, cured or cooked. 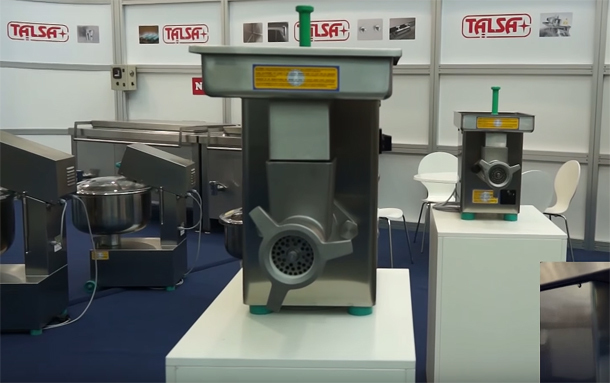 TALSA is a european company producer of medium-range machinery for the food processing industry. 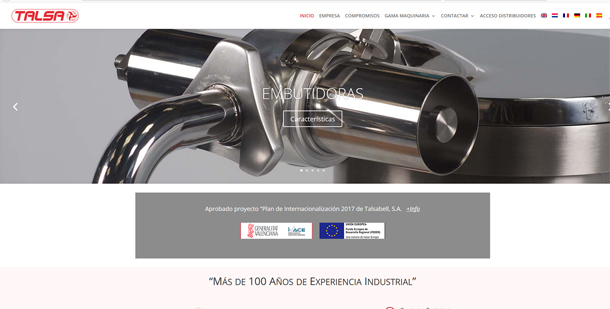 It is present worldwide thanks to its consolidated exports and its distributor network, that ensures sales and maintenance and provides spare parts, giving so a guaranteeing this way the proper functioning of the machine. In its machine range, the first machine it presents is the Hydraulic Fillers for 15,20,26,31,42 and 52 liters. They are made of stainless steel and can be either automatic or manual. 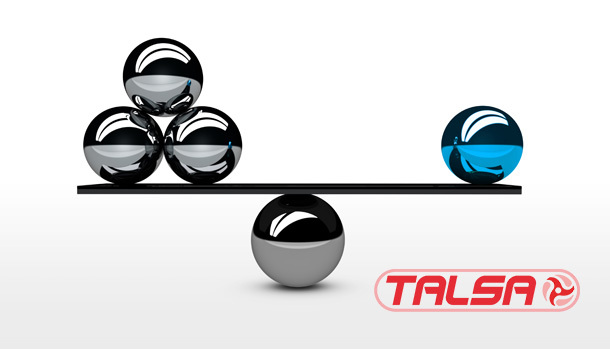 Talsa’s fillers work with dense or cold mixtures, its speed control lever located near the operator for a more precise adjustment. Release of the knee lever causes the double sealed piston to decompress and instantly stops the product flow. 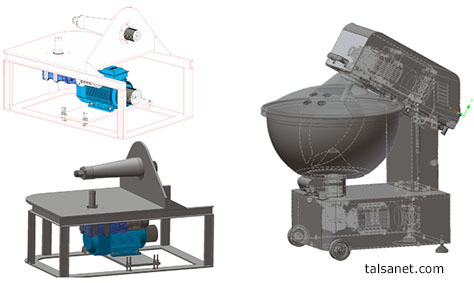 It also has wheels to ensure easy movement of the machine, automatic lid lock, pressure gauge and is easy to clean. 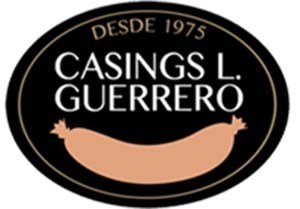 The manual portioning device is an accessory that fits on the end of the meat barrel with a lever in forward/backward positions in order to obtain consistent volume dosage for various mix thicknesses, such as Frankfurt sausages, pâté, foie-gras, salamis, etc. from 20 to 500g approximately. 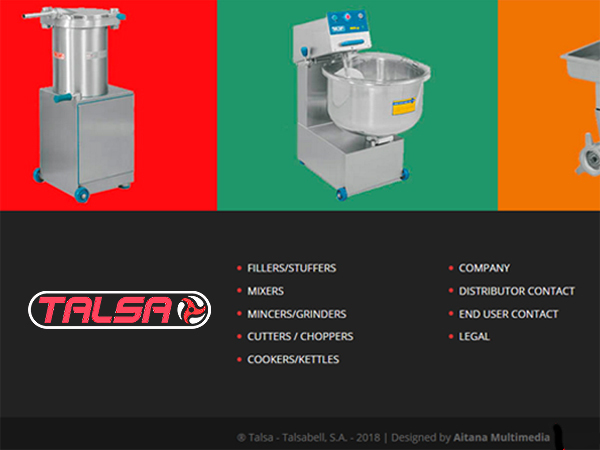 Among Talsa’s high-quality range of machinery we can also find mixers, grinders, cutters and cookers. 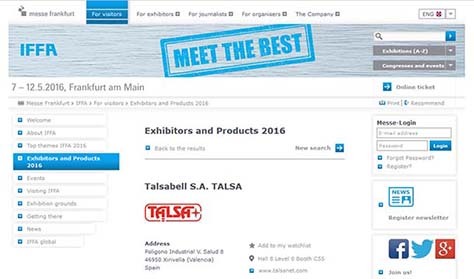 In its website talsanet.com you can watch videos on the functioning of their machinery. There is also access to an Intranet for distributors. 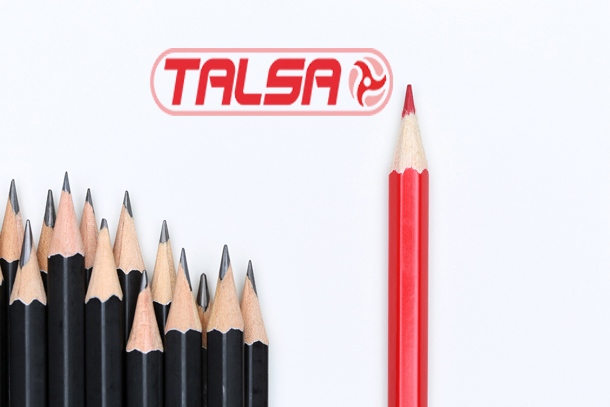 Talsa, more than 100 years of industrial experience certified by EC quality assurance and control bodies.